Just a heads-up about a minor change to the way attachment uploading works. 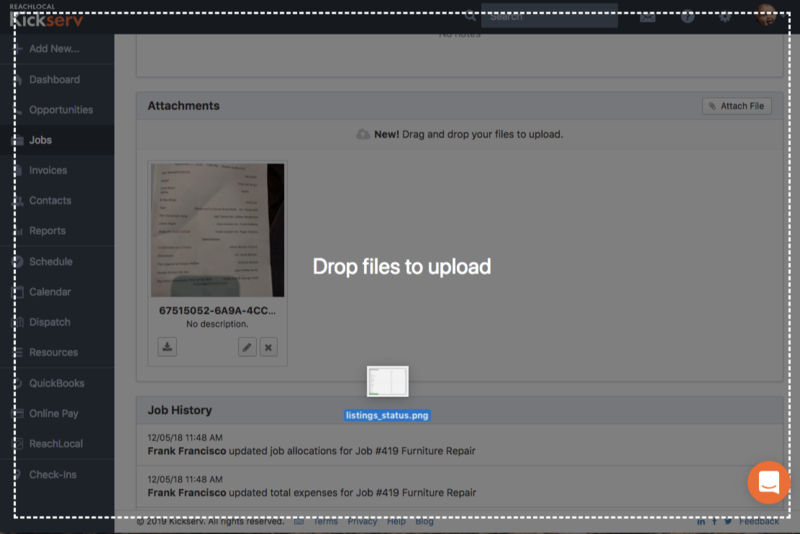 Previously, when using the drag-and-drop method to upload attachments to customers and jobs, you could drop the attachment anywhere on the Kickserv web page, as shown by the dashed box in the below screenshot. So you'll need to be a bit more precise when dropping your attachments in. 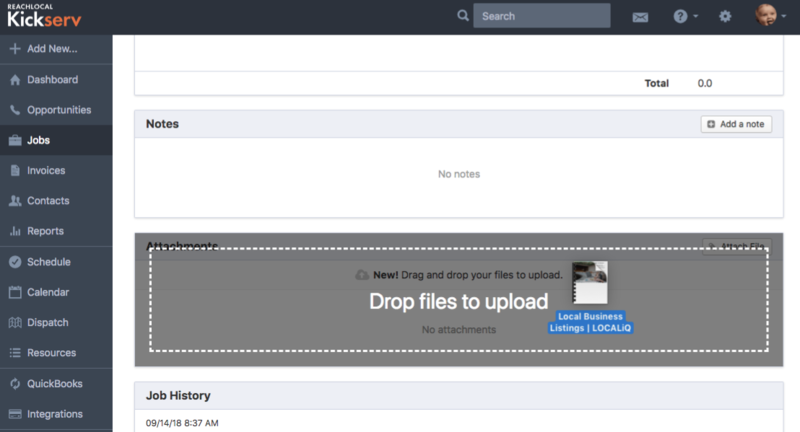 Other than that, there are no changes to the way you upload attachments. We hope this change doesn't inconvenience you, but we needed to do it in order to make room for another addition to the job details page that should be completed in the coming weeks. 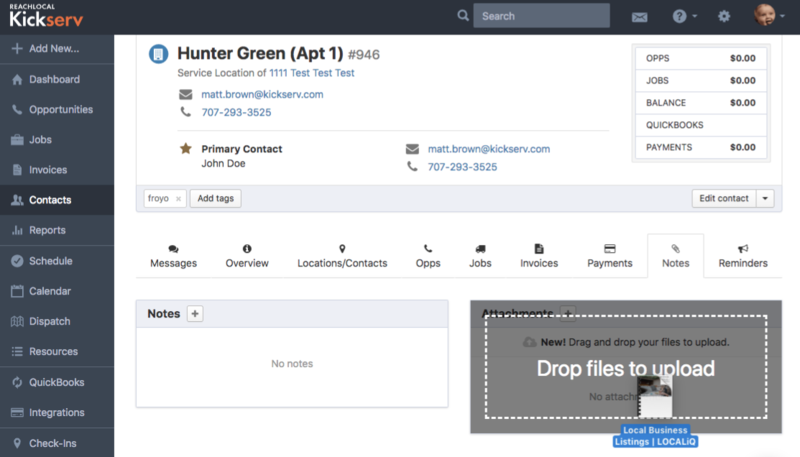 Many (and we do mean many) of you have requested the ability to use drag-and-drop to reorder a certain list of things. Watch this space for updates.